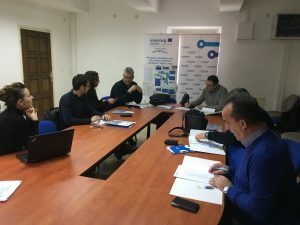 On 20 December 2018 a round-table of stakeholders from the Croatian partners of the INTER-CONNECT project was held in Split. 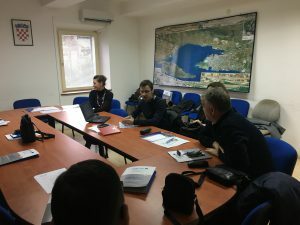 HŽPP as a partner of the INTER-CONNECT project is engaged in exploring the railway connection of the cities from the hinterland (Ljubljana, Zagreb, Sarajevo) to the Adriatic ports and further to the sea via the Greek ports. The mentioned research also applies to other cities in the Republic of Croatia that gravitate to larger centers such as Zagreb, Split and Rijeka. Within the project HZPP explores the ways and possibilities of green railway and maritime transport. Among other things, HŽPP elaborates a study that will explain the hinterland connection possibilities with the Adriatic ports and ultimately Greek ports. The results of the study will contribute to the development of tourism and environmentally-friendly “green” modes of transport. The study will investigate the connection of the land part of Croatia with the coast of the coastal cities (Rijeka, Split, Zadar, Šibenik, Dubrovnik) to other partner cities (Igoumenitsa, Bar, Trieste, Ancona, Bari and others). Project stakeholder are working on putting together all the available information to create a unique database related to the possibilities of transport on tourist trips and everyday migration of the population. In addition to the representatives of HŽ Putničke prijevoza, representatives of the Split Tourist Board, HŽ Infrastructure and external experts participated to the roundtable. Such discussions enable the possibility to influence the results of the study according to the needs of the stakeholders. External experts conducted surveys to examine the needs of travelers for tourist services, travelers’ habits and planned travel. In addition to the benefits to the carriers who will be directly involved in the project, future mapping of the region’s connections will contribute to the work of tourism agencies and ministries.